How are they measuring the charge level? Coulomb counters? Electric cars are garbage. Without huge subsidies, they don't sell, without subsidized electrical charging, they are not appealing, except to trendoid yuppies who know nothing about the environment and who'd just as likely be driving huge SUVs or Ford F-150 trucks. Why not just use a trickle of power to warm cold-intolerant batteries to 'cosy' prior to charging ?? This is not new. Some newer batteries already come with heaters in them. The comment "trendoid yuppies who know nothing about the environment" is funny. This EV owner earned a Master of Science in that field. 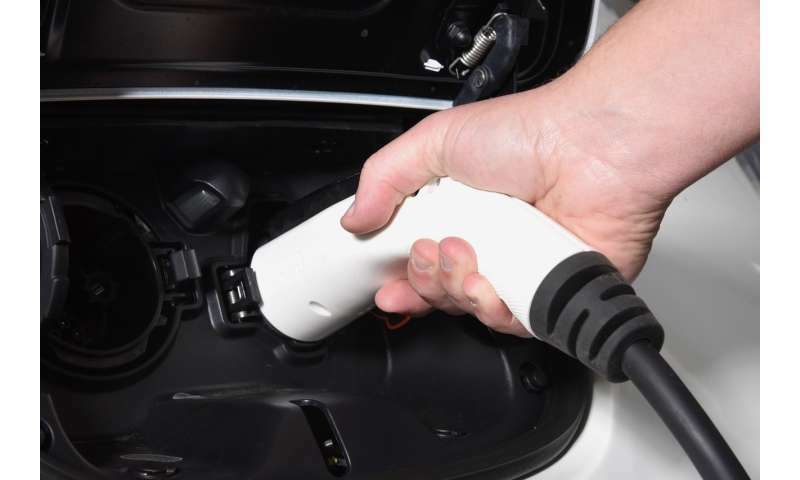 EV owners do not have to go gas up, or get oil changes or have leaks on their driveways. They do not need tune-ups, or emissions checks. No injectors, no fouling, no adjustments, no transmission trouble. No exhaust to poison you, no need to warm up before driving. It costs us three cents per mile for the little EV and four cents per mile for the big one, a Tesla Model S, P85, which is also the safest car ever made. Except EV's still have a gearbox - filled with oil - even if its only a single reduction, not to mention the differential assuming its a single motor system; so your "no transmission" claim isn't true. Modern cars have no adjustments. This isn't the 60s. Everything is computer controlled 'feed forward'. Your claim of "3 cents per mile" currently because the government hasn't figured out how to road tax EV's as conveniently as petroleum fuel is. I am not decrying EVs at all, I'm pointing out holes in your smug pontification. Not every article about EVs has to be forum for your cry for attention. "Except EV's still have a gearbox - filled with oil - even if its only a single reduction, not to mention the differential assuming its a single motor system; so your "no transmission" claim isn't true." Come check out my 2013 Tesla Model S, P 85, and ll show you there are NO GEARS anywhere in the system. The rotor of the electric motor is the rear axle. gskamp, the PATHOLOGICAL LIAR AND FAKE ENGINEER, doing what he does best. He has boasted that his LIES can't hurt him, so why should he stop.